How do expanded hexanucleotide repeats in the C9ORF72 gene cause amyotrophic lateral sclerosis and frontotemporal dementia? They give rise to aberrant dipeptide repeat proteins, but even though these DPRs form deposits, they correlate poorly with degeneration. Instead, the pathologic hallmark of C9 carriers are deposits of TDP-43. In the October 1 Brain, researchers led by Frank Hirth at King’s College London now tie DPRs to TDP-43, an RNA binding protein. At least in fruit flies. Hirth and colleagues report that the DPRs cause TDP-43 to build up in the cytoplasm of neurons. In turn, this stray TDP-43 waylays the nuclear import protein karyopherin-α and worsens DPR deposition, kicking off a cycle of pathology. “DPR accumulation is the first hit, and TDP-43 the second,” Hirth told Alzforum. “Together they initiate a deadly cascade that plugs up the nucleocytoplasmic transport machinery, causing a feedback loop.” The researchers saw more evidence for this in postmortem human brains containing TDP-43 pathology, where karyopherin-α was all but absent from neuronal nuclei. Other researchers said the findings help shed light on disease mechanisms in ALS/FTD. “This model nicely addresses an apparent paradox in the field, in which fully penetrant genetic mutations present at birth take many years to manifest in a clinical phenotype, but then produce a rapidly progressive disease; the kinetic shift involved in this change is difficult to explain without some kind of feedback loop,” Johnathan Cooper-Knock at the University of Sheffield, U.K., wrote to Alzforum. Researchers agreed the data could point toward new therapeutic strategies. “[This] opens the exciting possibility that one could therapeutically intervene between the appearance of DPRs (an early event that does not correlate with neurodegeneration) and TDP-43 aggregation (a late event that does correlate with neurodegeneration),” Robert Baloh at Cedars Sinai Medical Center in Los Angeles wrote to Alzforum. Brian Freibaum at St. Jude Children’s Research Hospital in Memphis, Tennessee, wondered if restoring karyopherin-α location or function would reverse DPR and TDP-43 accumulation. The link between TDP-43 and nuclear import has emerged in the last two years. Some researchers saw TDP-43 aggregates ensnare components of the nucleocytoplasmic transport machinery (Jan 2018, Apr 2018 news; for review, see Kim and Taylor, 2017), while others caught karyopherin-α and -β breaking apart aggregates of TDP-43, FUS, and other RNA-binding proteins in vitro, suggesting they act as disaggregases (see May 2017 conference news). Yet another group found that karyopherin-β prevented FUS aggregates and dissolved existing ones (see Apr 2018 news). Hirth and colleagues wondered how DPRs, TDP-43 pathology, and nuclear import proteins related to each other. Joint first authors Daniel Solomon, Alan Stepto, and Wing Hei Au generated flies that expressed different types of DPR. Poly-GR-expressing flies were worst off. Some died as larvae; survivors were unable to climb a test tube by the time they were adult at 20 days old. By contrast, poly-GA- or poly-GP-expressers developed movement problems late in the life of a fly, around day 40. In all cases, the fly homologue of TDP-43, TBPH, abandoned the nucleus for the cytosol around the time symptoms appeared. To dissect out why, Solomon and colleagues generated new fly models that made poly-GR or poly-GA without expressing expanded RNA, and compared them with an existing line that expressed C9ORF72 expanded repeat RNA but made no DPRs (Mizielinska et al., 2014). TBPH remained nuclear in flies with RNA foci, but massed in the cytoplasm in flies with DPR deposits. Hirth noted that poly-GR in particular is highly charged and can trap other proteins in its deposits, perhaps explaining why those flies had the most rapidly progressing disease. Next, the researchers dissected the consequences of cytosolic TBPH. They made a new fly that expressed TBPH without a nuclear localization signal, confining it to the cytoplasm. These insects developed neurodegeneration. Intriguingly, however, neuronal death did not correlate with TBPH aggregates, suggesting that the cytosolic location of TBPH, rather than its aggregation, was the toxic feature. When the authors crossed these flies with C9ORF72 lines, the offspring had worse motor problems and accelerated DPR deposition, hinting at a feedback loop. Turning to nuclear import, the authors found that DPR deposits correlated with cytoplasmic accumulation of karyopherin-α 2 and 4 (KPNA2/4). Again, poly-GR had the strongest effect, depleting these proteins from the nucleus, while RNA foci alone had no effect on karyopherins (see image above).The authors found no problems with any other nuclear transport proteins during early disease stages in these models. “This indicates that karyopherin pathology is one of the earliest events, before any of the other nucleopore defects,” Hirth told Alzforum. KPNA2/4 is known to directly bind TDP-43 as well as poly-GR (Freibaum et al., 2010; Lee et al., 2016; Chou et al., 2018). In keeping with this, KPNA2/4 also strayed into the cytoplasm in flies expressing cytosolic TBPH but no DPRs. 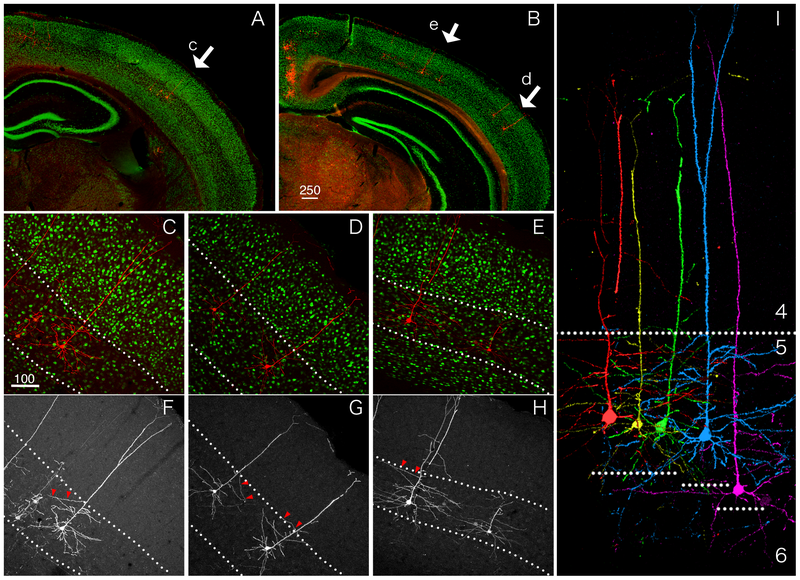 This places KPNA mis-localization downstream of TDP-43 pathology, suggesting this would be present in sporadic ALS cases, the authors suggested. Adrian Isaacs at University College London called the link between cytosolic TDP-43 and karyopherin-α intriguing. “This is consistent with the idea that DPRs are the initiators, and TDP-43 the executioner, akin to Aβ and tau in Alzheimer’s disease,” he wrote to Alzforum. However, Wilfried Rossoll at the Mayo Clinic in Jacksonville, Florida, doubts the findings will end the controversy over whether C9ORF72 RNA foci or DPRs are more toxic (see June 2017 news). “It would be interesting to see how the combinations of different DPRs that are present together in human patients affect the phenotype of disease models,” he wrote to Alzforum. As a first step to relating their data to ALS/FTD, the authors searched for a link between TDP-43 and karyopherin-α pathology in human brain. They compared postmortem samples of frontal cortex from eight healthy controls with samples from eight C9ORF72 expansion carriers who had had FTD and eight people who had had sporadic TDP-FTD. Overall, cases had less nuclear KPNA4, even in neurons without detectable TDP-43 or DPR deposits. The findings hint that soluble cytosolic TDP-43, rather than aggregates, may be the toxic species, matching the fly data, Hirth said. “The phosphorylated, aggregated form of TDP-43 may be an attempt by the cell to protect itself,” he speculated. Hirth believes the totality of evidence points to a new therapeutic target in TDP-43 diseases. “It’s now clear we need to focus on nucleocytoplasmic transport,” he said. He has found that manipulating karyopherin-α can partially rescue TDP-43 pathology in flies and is also examining whether karyopherin-α pathology marks other neurodegenerative diseases. Some companies are already targeting nuclear transport in ALS and FTD (see April 2018 news). Karyopharm Therapeutics in Newton, Massachusetts, collaborates with Biogen to develop its nuclear export inhibitor, KPT-350, for ALS. The related compound KPT-335 has been tested in Phase 1. Solomon DA, Stepto A, Au WH, Adachi Y, Diaper DC, Hall R, Rekhi A, Boudi A, Tziortzouda P, Lee YB, Smith B, Bridi JC, Spinelli G, Dearlove J, Humphrey DM, Gallo JM, Troakes C, Fanto M, Soller M, Rogelj B, Parsons RB, Shaw CE, Hortobágyi T, Hirth F. A feedback loop between dipeptide-repeat protein, TDP-43 and karyopherin-α mediates C9orf72-related neurodegeneration. Brain. 2018 Oct 1;141(10):2908-2924. PubMed. Mizielinska S, Grönke S, Niccoli T, Ridler CE, Clayton EL, Devoy A, Moens T, Norona FE, Woollacott IO, Pietrzyk J, Cleverley K, Nicoll AJ, Pickering-Brown S, Dols J, Cabecinha M, Hendrich O, Fratta P, Fisher EM, Partridge L, Isaacs AM. C9orf72 repeat expansions cause neurodegeneration in Drosophila through arginine-rich proteins. Science. 2014 Sep 5;345(6201):1192-1194. Epub 2014 Aug 7 PubMed. Lee KH, Zhang P, Kim HJ, Mitrea DM, Sarkar M, Freibaum BD, Cika J, Coughlin M, Messing J, Molliex A, Maxwell BA, Kim NC, Temirov J, Moore J, Kolaitis RM, Shaw TI, Bai B, Peng J, Kriwacki RW, Taylor JP. C9orf72 Dipeptide Repeats Impair the Assembly, Dynamics, and Function of Membrane-Less Organelles. Cell. 2016 Oct 20;167(3):774-788.e17. PubMed. Chou CC, Zhang Y, Umoh ME, Vaughan SW, Lorenzini I, Liu F, Sayegh M, Donlin-Asp PG, Chen YH, Duong DM, Seyfried NT, Powers MA, Kukar T, Hales CM, Gearing M, Cairns NJ, Boylan KB, Dickson DW, Rademakers R, Zhang YJ, Petrucelli L, Sattler R, Zarnescu DC, Glass JD, Rossoll W. TDP-43 pathology disrupts nuclear pore complexes and nucleocytoplasmic transport in ALS/FTD. Nat Neurosci. 2018 Feb;21(2):228-239. Epub 2018 Jan 8 PubMed. Kim HJ, Taylor JP. Lost in Transportation: Nucleocytoplasmic Transport Defects in ALS and Other Neurodegenerative Diseases. Neuron. 2017 Oct 11;96(2):285-297. PubMed. Khosravi B, Hartmann H, May S, Möhl C, Ederle H, Michaelsen M, Schludi MH, Dormann D, Edbauer D. Cytoplasmic poly-GA aggregates impair nuclear import of TDP-43 in C9orf72ALS/FTLD. Hum Mol Genet. 2017 Feb 15;26(4):790-800. PubMed. Guo L, Kim HJ, Wang H, Monaghan J, Freyermuth F, Sung JC, O’Donovan K, Fare CM, Diaz Z, Singh N, Zhang ZC, Coughlin M, Sweeny EA, DeSantis ME, Jackrel ME, Rodell CB, Burdick JA, King OD, Gitler AD, Lagier-Tourenne C, Pandey UB, Chook YM, Taylor JP, Shorter J. Nuclear-Import Receptors Reverse Aberrant Phase Transitions of RNA-Binding Proteins with Prion-like Domains. Cell. 2018 Apr 19;173(3):677-692.e20. PubMed.